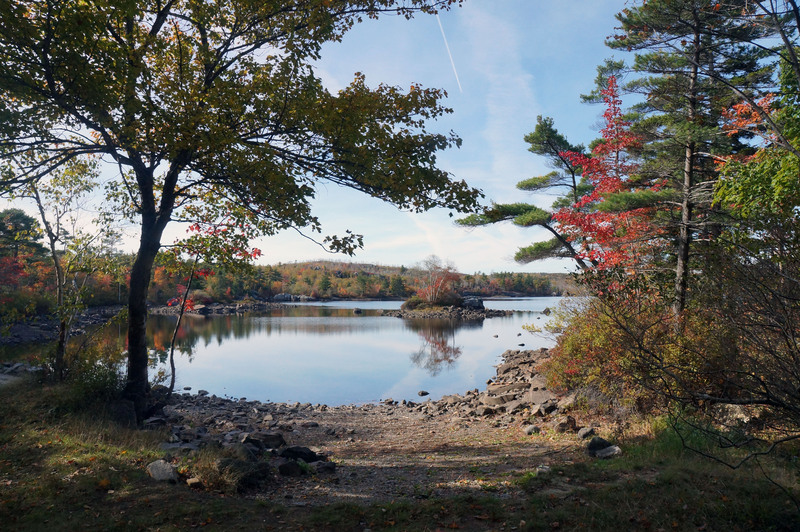 Halifax Regional Council has tentatively agreed to establish an urban wilderness park to be known as the Shaw Wilderness Park, through the acquisition of what are informally known as the Purcell’s Cove Backlands. The deal-in-principle came together thanks to the hard work of municipal staff, along with representatives from The Shaw Group and the Nature Conservancy of Canada (NCC). The purchase of approximately 380 acres (154 hectares) of natural greenspace is contingent on successful fundraising by NCC, but would result in yet another crown jewel of untouched parkland that would serve as a benefit to Halifax residents in perpetuity. Financial details of the deal would see the municipality and NCC partnering on the purchase of the land from The Shaw Group for $6.6-million. In return for a conservation easement protecting the lands in perpetuity, NCC has agreed to fundraise $2.5-million towards this acquisition. The municipality will fund the balance of $4.1-million. “NCC is very pleased with Regional Council’s decision and we look forward to receiving community feedback on this exciting conservation project,” said Nature Conservancy of Canada’s Nova Scotia program director Craig Smith. “The shared vision to create the urban wilderness park, protecting the intact ecosystems that serve as a gateway to the backlands and provide outdoor recreation and opportunities for appreciation of the natural world within the city will provide enduring value for current and future Haligonians,” said Smith. The Shaw Group will develop a parking lot and main entrance to the area with a goal of enabling operation of the new park within two years. “We are very excited to be part of this opportunity being undertaken for the residents of Halifax Regional Municipality,” said Allan Shaw, chair of The Shaw Group. “It is as a direct result of several years of dedication by the staff of Halifax Regional Municipality, the Williams Lake Conservation Company, and the NCC. “As community builders, The Shaw Group is thrilled to be part of creating a legacy for the people of Halifax for many generations to come,” said Shaw. Before finalizing this arrangement, the municipality will be seeking public input and support through two levels of public engagement, to ensure citizens understand what’s being proposed and so residents can provide Regional Council and staff with meaningful feedback. The Purcell’s Cove Backlands have been used as unofficial park land by Halifax residents for decades. It was once home to a rock quarry, providing much of the stone now seen on many of Halifax’s historic buildings. The area is also a breeding spot for more than 40 species of birds, while Williams Lake is a popular location for canoe/kayak enthusiasts.